Not to be confused with Pelé or Pedro Pele. Abedi Ayew (/əˈbeɪdi əˈjuː/ ə-BAY-dee ə-YOO; born 5 November 1964), known professionally as Abedi Pele, is a Ghanaian former footballer who played as an attacking midfielder and who served as captain of the Ghana national team. He is regarded as one of the greatest African footballers of all-time. He played for several European clubs and found his fame in the French Ligue 1 with Lille and Marseille, the latter where he won the UEFA Champions League in 1993, among other titles. Three of his sons, Ibrahim, André and Jordan, have also become internationals for Ghana; Ibrahim and André were selected for the 2010 FIFA World Cup, while André and Jordan played at the 2014 World Cup. Abedi Ayew was born into a family in the town of Kibi and grew up in the town of Dome at the northern outskirts of the city Accra. 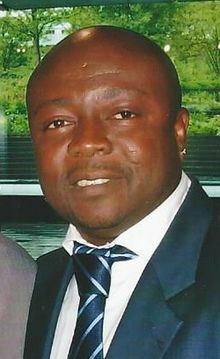 Abedi Pele was one of the pioneers of African football in Europe. He was one of the first great African players to make an impact on European club football. He played for teams in Switzerland, Germany, Italy and most famously France, where he was instrumental in Marseille's prominence in the UEFA Champions League during the early 1990s. Amongst his international accolades, he was often included in FIFA "All-Star" selections and captained the African All-Stars in their victory over their European counterparts in the 1997 Meridian Cup. He left Ghana after the 1982 African Cup of Nations to join Al Sadd in Qatar for a $1,000 transfer fee. After a short spell with FC Zürich, he returned to Ghana but, after both Kotoko and Hearts of Oak failed to sign him, joined AS Dragons FC de l'Ouémé in Benin. He would later return to Ghana and play for Real Tamale United for one season. He began his career in Europe with French side Chamois Niort, subsequently joining Montpellier and Lille before transferring to Marseille. He later joined Lyon. He also played for Torino of Italy and rounded out his European career with 1860 Munich. Abedi Pele went on to sign a two-year contract with Al Ain in the United Arab Emirates and was nominated one of the best foreign players to play in the UAE league. He was a captain and was one of the first African football players to earn a top placing in FIFA World Player of the Year voting in 1991 and 1992. He is arguably Africa's most decorated and honoured football player ever, winning the France Football African Player of the Year Award three times, was the inaugural winner of the BBC African Sports Star of the Year in 1992, and the corresponding Confederation of African Football award twice. He was also awarded the golden ball award for being the best player at the 1992 African Cup of Nations, and was the "man of the match" in Marseille's historic UEFA Champions League final win over Milan in 1993. Abedi Pele played for Ghana 73 times and is considered the greatest football player in his country's history, and among the best in Africa. Until 7 June 2013, when he was surpassed by Asamoah Gyan, he was the top goalscorer for the Black Stars with 33 goals. He was a fixture in the African Championships of the 1980s and '90s with his national team, and a member of Ghana's victorious team in the 1982 African Cup of Nations, but he never had an opportunity to play in the FIFA World Cup, as the Black Stars failed to qualify for the competition during his career. However, he was arguably the most dominant figure on the African football scene for nearly a decade. His performance in the 1992 African Cup of Nations is often cited as one of the most outstanding football displays by any player in a single tournament. His native Ghana reached the finals of the Cup that year, only to lose on penalties in the final to the Ivory Coast after Abedi was suspended because of a yellow card he received in the semi-final against Nigeria. Prior to that, his three spectacular goals against Zambia, Congo and Nigeria proved crucial in putting Ghana through to their seventh appearance in a CAN final – and their first final in ten years. The performance earned him the added nickname of "The African Maradona". His solo run goal against Congo in the quarter-finals is often compared to Maradona's second goal against England in the 1986 World Cup. His backheader goal against Nigeria from the edge of the opponent's penalty box also heralded international acclaim. Abedi Ayew Pele, three-times winner of the African Footballer of the Year award; with Black Stars' trophy of the Africa Cup of Nations. Abedi holds the record for most appearances at the Nations Cup Finals, his record even surpassing the legendary Roger Milla of Cameroon. He made his first appearance at the 13th Nations Cup Finals in Libya in 1982 and for the next 16 years (ending at the 21st Finals in Burkina Faso) continued to grace the most prestigious football tournament on the continent, first as a member of Ghana's squad rising to become captain in 1991. Aside from his acclaimed exploits at the 1992 competition, Abedi also earned much acclaim for his three goals at the 1996 competition, where he led Ghana to the semi-finals of the competition despite critics expecting him to be in the twilight of his career. At club level, he was a key figure in Marseille's dominance of the French league, resulting in four league championships and two European Cup finals appearances. An attacking midfielder, Abedi became as famous for his sublime dribbling skills as he did for his knack for scoring spectacular and often very important goals. Many such goals became regular "Goals of the Week" on ITN's weekly "European Football" program. At Marseille, he was a member of the team's "Magical Trio" along with Jean-Pierre Papin and Chris Waddle, spearheading perhaps Europe's strongest league side of the early 1990s, including a European Cup final defeat in 1991. Abedi was the only remaining member of the trio still with the side when Marseille defeated Milan in the 1993 Champions League final in Munich. Ayew has the singular honour of participating in more FIFA organized charity matches than any other African player. He is very popular in many African countries, especially the French-speaking countries because of his exploits in France. In countries such as Nigeria and South Africa, football fans still wear T-shirts bearing his name. He has become one of the continent's most respected and important ambassadors. Abedi Pele is a member of FIFA's Football Committee, and of the player status committees of both FIFA and CAF. That explains why the South African FA made him a Spokesperson for their 2006 World Cup bid. Abedi is considered one of the best players in World History not to have appeared at the FIFA World Cup, and perhaps the greatest African football player ever. In appreciation of Abedi's devout services to the country, the Ghanaian government awarded him the country's highest honour, the Order of the Volta (civil division). He thus became the first Ghanaian sportsman to be so honoured. On 29 January 1997, the first UEFA–CAF Meridian Cup All-Star Match between Europe and Africa was played in Benfica's Estádio da Luz in Lisbon and was televised in 100 countries worldwide, including 30 in Africa, for an audience of 60 million viewers. Abedi Pele was on target with a stunning goal early in the first half and, after Vincent Guérin had equalised for Europe just before half-time, it was the 1998 African Player of the Year, Mustapha Hadji, who struck Africa's 78th-minute winner in the 2–1 win. In June 2001 he was nominated by the present government of Ghana to serve as the next Chairman of the FA, an opportunity he later gave up for a more experienced former coach of Ghana for which in his own words said that this was to be an opportunity to learn from his superiors. At present he owns a first division club, called Nania, with the future hopes of nurturing the young talent to augment the fledgling league of the country. He has also been involved with various charity work across the African continent. He was recently embroiled in a serious alleged Second Division Promotion Play-off bribery scandal for which the Football Association found him and others guilty. The guilty verdict attracted fines and suspensions of Abedi and others, but these have been quashed by the Appeals Committee of the Football Association after determining that there were irregularities in the initial judgement of the Ghana Football Association. The allegations stem from an astonishing 31–0 victory recorded by his club, Nania FC over a much respected Okwawu United side. A similarly farcical 28–0 result was recorded in another second division match played between Great Mariners and Tudu Mighty Jets on the same weekend. The clubs involved in that Second Division Promotion Play-off Zone III match were also investigated and subject to the prospect of stiff penalties and demotions. Despite his vehement denials, Abedi had been chastised by some members of the Ghanaian media, who were demanding that strong punitive actions be taken against him, by Ghana's football governing body as well as the legal system. His wife Maha Ayew was on 3 November 2008 banned from football against this Manipulations Scandal. On 26 March 2004, he was appointed a "(WAFUNIF) Special Envoy 4 Peace and Development"
Abedi is the brother of Kwame and Sola Ayew (ex-Hearts of Oak and Black Meteors). He is also the father of André, Jordan, Rahim, Imani, and is married to Maha. Two of his children - Andre and Rahim - represented Ghana in the FIFA 2010 World Cup in South Africa. Jordan and Andre represented Ghana in the FIFA 2014 World Cup in Brazil. ^ a b "Abedi Pele". National Football Teams. Benjamin Strack-Zimmerman. ^ "Abedi Pelé Ghana's brightest Black Star". FIFA. Retrieved 10 October 2011. ^ "Interview with Ali Behzad" (in Arabic). al-watan.com. Archived from the original on 14 August 2015. ^ "Ghana's brightest Black Star". FIFA. International Federation of Association Football. Retrieved 17 February 2014. ^ a b "All-Stars clash kick off in Bari". Meridian Cup. UEFA. 1 February 2001. Archived from the original on 12 March 2004. Retrieved 6 April 2007. ^ "Scandalous Middle League Results". Ghana Football. Ghanaweb. 3 April 2007. Retrieved 7 March 2007. ^ "Suspensions Annulled". Ghana Football. Ghanaweb. 25 May 2007. Archived from the original on 27 May 2007. Retrieved 6 June 2007. ^ "Third round results of the National Middle League". GhanaWeb. 28 March 2007. Retrieved 2 December 2012. ^ "Mariners trounce Tudu Mighty Jets 28-0". GhanaWeb. 28 March 2007. Retrieved 2 December 2012. ^ "Abedi defends 31–0 scoreline". Ghana Football. Ghanaweb. 3 April 2007. Retrieved 7 March 2007. ^ "Maestro Of Disgrace". Ghana Football. Ghanaweb. 3 April 2007. Archived from the original on 8 April 2007. Retrieved 6 April 2007. ^ "(SPORTS- SOCCER) LOCAL: Ayew's wife banned from football". ghanadistricts.com. 3 November 2008. Archived from the original on 8 October 2012. Retrieved 2 December 2012. ^ Mohamed S. Chbaro and Mohammed Qayed (8 December 1999). "United Arab Emirates 1998/99". Rec.Sport.Soccer Statistics Foundation. Archived from the original on 4 March 2007. Retrieved 8 April 2007. ^ Pierrend, José Luis (5 January 2001). "African Player of the Year 1992". RSSSF. Retrieved 2 December 2012. ^ Pierrend, José Luis (5 January 2001). "African Player of the Year 1993". RSSSF. Retrieved 2 December 2012. ^ Pierrend, José Luis (29 November 2012). "World Player of the Year - Winners". RSSSF. Archived from the original on 12 January 2016. Retrieved 2 December 2012. ^ Stokkermans, Karel (30 January 2000). "Africa – Player of the Century". RSSSF. Archived from the original on 9 May 2007. Retrieved 7 April 2007. ^ "CAF release 30 best African players in the last 50 years". Official website. Confederation Africaine de Football. 20 February 2007. Archived from the original on 3 April 2007. Retrieved 7 April 2007. ^ Leme de Arruda, Marcelo (17 July 2012). "FIFA XI´s Matches - Full Info". RSSSF. Retrieved 2 December 2012. ^ "WAFUNIF/FUTBOLMASTERS Special Advisory Honorary Committee for the Futbol 4 Peace & Development Programme/Campaign" (PDF). Futbol 4 Peace & Development members list. The World Association of Former United Nations Internes and Fellows (WAFUNIF). Archived from the original (pdf) on 11 May 2005. Retrieved 8 April 2007. Wikimedia Commons has media related to Abedi Pele. This page was last edited on 18 April 2019, at 05:26 (UTC).